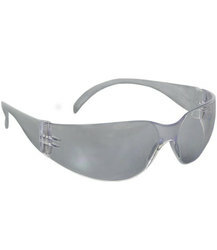 Applications: Used for general manufacturing and anywhere eye protection is needed. Saddle bridge design fits most wearers. Thin, flexible temples provide secure fit without pinching. Rimless design for light weight. Lens variety assures a style for any application.